5.4 神保町駅 (都営地下鉄) の過激すぎる表示 - dutcheez’s Fun with English! 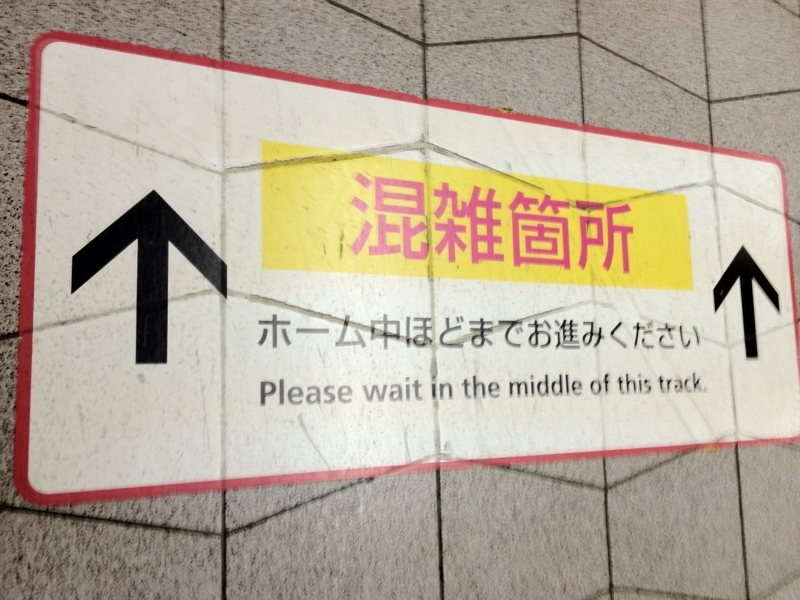 Please wait in the middle of this track. Please proceed to the middle area of the platform. Thank you for your cooperation to reduce congestion.